This 2,500 square foot home was built with utmost efficiency in mind. The naturally convecting floor plan utilizes the warmth of the sun and coolness of the ground floor to heat and cool the home through the energy recover ventilator system and ductless mini splits. The four story floor plan includes sunroom, walk-out basement with outside shower, and walk-in loft. There are many unique touches in this home created from locally sourced, reclaimed timber. 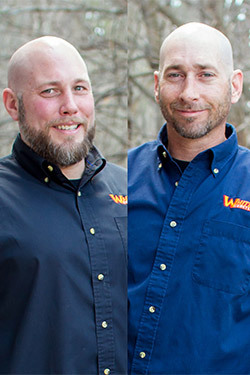 Whitbeck Construction was founded in 2005 by two brothers, Matthew & Jason Whitbeck. They offer professional, integral, and experienced general contracting and sub-contracting direct to homeowners and businesses. Their specialties lie in custom framing, exterior sustainability, residential remodeling, and general contracting. They have educated others in the industry for many years on exterior sustainability given the climate changes in the northeast. This expertise has led them to develop uniquely designed and efficient homes inspired by the cold wall/cold roof systems.